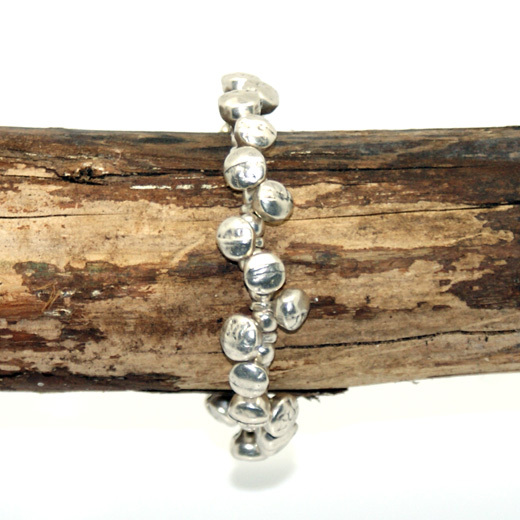 A pretty bracelet from Treaty, this elastic and easy to wear matt silver plated row of alternating ball shaped beads gives this bracelet an elegant twist. 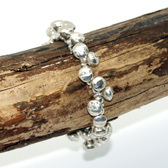 The bracelet will stretch to fit. The largest ball design measures 0.5cm. 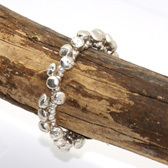 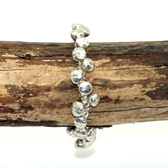 This lovely bracelet will add shine to any outfit and make a lovely gift.